Do the words rested… peaceful… and refreshed describe you today? Or do the words stressed… rushed… and pressured better describe your way of life? If you’re like most Christians, you’d probably have to admit those last three words more accurately describe your life most of the time! The good news is that it doesn’t have to be this way… even when your life is one big pressure-cooker. 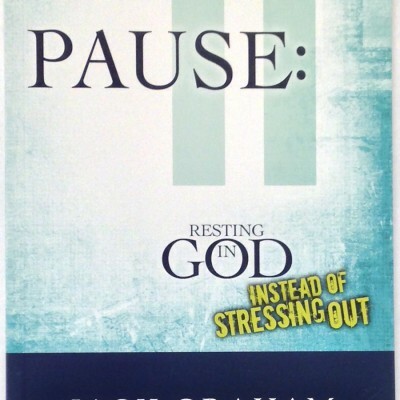 And in Pastor Graham’s new book, Pause: Resting in God Instead of Stressing Out, he’ll show you why. Based on the principles from Paul’s letter to the Philippians and Psalm 23, Pause will help you find true peace and rest in a world that is anything but peaceful and restful. It’s the perfect “pause” button you need!